Stairlift manufacturer Handicare has launched a new straight stairlift model, incorporating a modern design that aims to appeal to both end-users and the company’s dealer network. The new Handicare 1100 stairlift received positive feedback when it made its debut at international exhibition Rehacare in Germany at the end of 2018. Its tooth and grease-free slimline rail and continuous charging strip were regarded as the standout features, making it quicker to install and easier to sell. 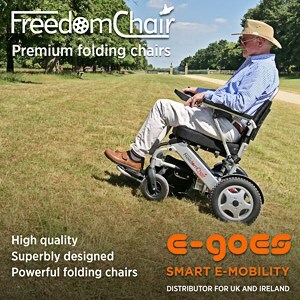 Paul Stockdill, National Sales Manager at Handicare, said: “Our design team put a lot of thought into the features of the 1100. We’ve worked hard to deliver a new stairlift that not only provides end-users with an attractive and reliable solution but is also good for our trade partners to stock, install and maintain. For example, making batteries easier to replace was a must. Another popular feature of the Handicare 1100 is its unique Quattro (4 wheel) motor drive system based on friction drive. According to Handicare, the silver anodised rail obscures less of the stairs than any other stairlift system, and, with no visible mechanism or grease, it’s also very easy to keep clean. Alongside this, the continuous charging strip along the full length of the rail ensures fewer after-sales issues for customers, says Handicare, as well as the company’s trade partners and its own customer service and breakdown teams. Importantly, the 1100 is also easier to install and maintain making it an attractive alternative for dealers. “The rail is slimmer, lighter and easier to cut and join thanks to the fact that there is no greasy tooth track, which means it’s nicer to handle too,” Paul added. The manual model of the Handicare 1100 straight stairlift is available now in the UK, with powered swivel/footrest and non-handed seat models due for release later in 2019. Handicare offers solutions to increase the independence of disabled or elderly people and to facilitate for their care providers and family. Its portfolio encompasses a comprehensive range of curved and straight stairlifts, transfer, lifting and repositioning aids, vehicle adaptations and medical equipment.